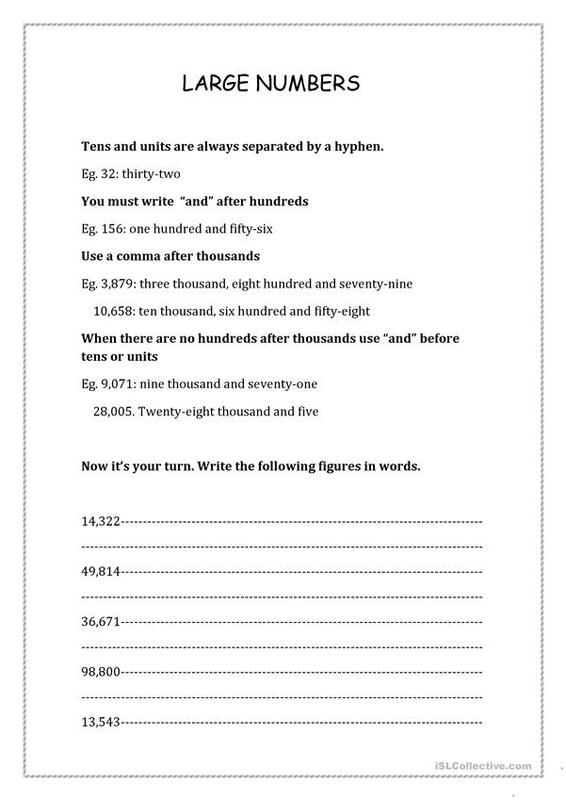 This worksheet is aimed to practise five digits numbers in letters. 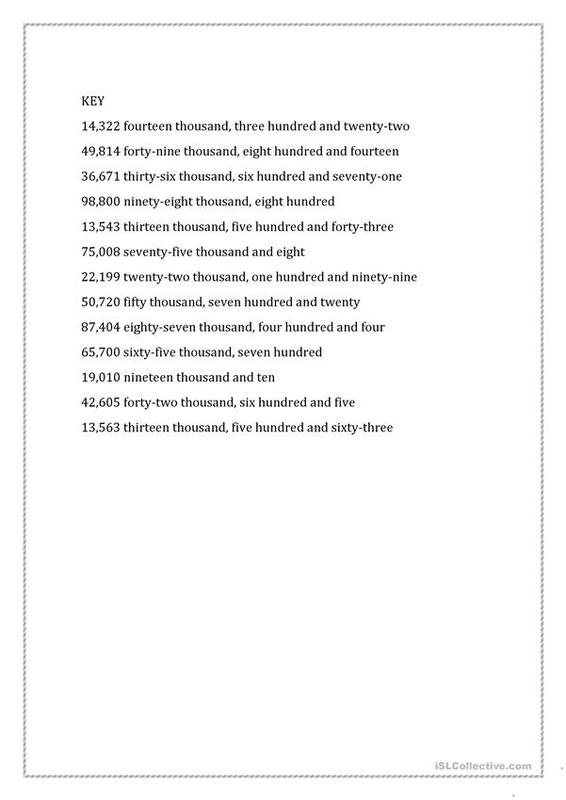 There's an explation and some examples on how to write big numbers, followed by some exercises. 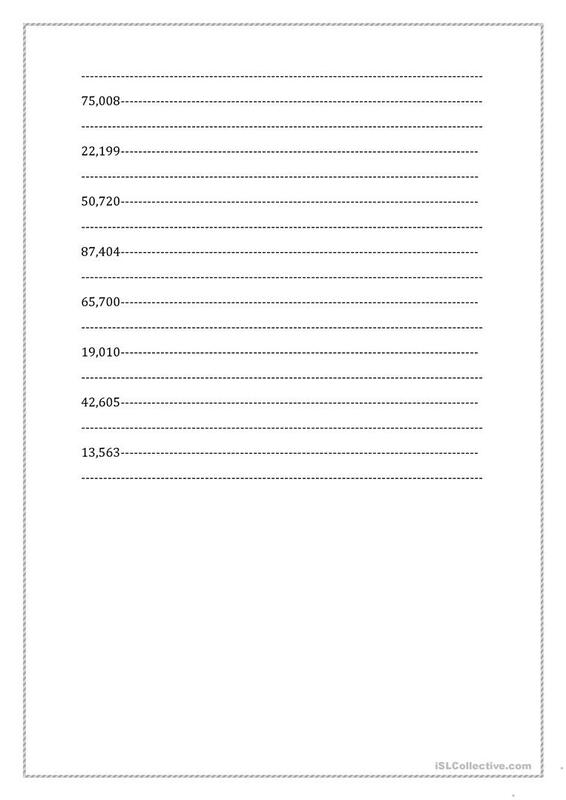 This worksheet is directed to intermediate and upper-intermediate students. However, it can be used by other levels. Key is included. This downloadable printable is intended for business/professional students, high school students and adults at Pre-intermediate (A2), Intermediate (B1), Upper-intermediate (B2), Advanced (C1) and Proficient (C2) level. It was designed for improving your pupils' Writing skills. It is focused on the topic and words of Numbers. The key is provided, too.